In order to resolve international crisis, and especially the on-going conflict in Syria, “it is essential that the European Union play an active role. Not out of a delusion of leadership or to encroach on the prerogatives of national governments, but out of an understanding that only when the diplomatic actions of all twenty-eight Member States work in synergy with one another can Europe obtain positive results. 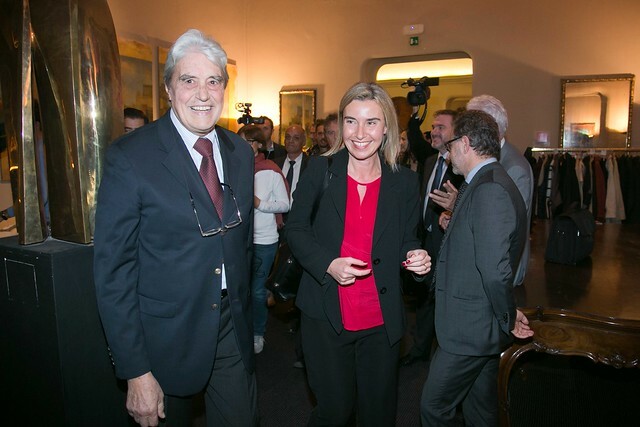 We must have a united foreign policy, a single foreign policy for Europe”, declared Federica Mogherini, during a meeting with the Istituto Affari Internazionali in Rome on 29 October 2015. Nearing her first anniversary in the role of Europe’s High Representative for Foreign and Security policy, and on the same day in which Iran was invited for the first time to take part in diplomatic negotiations on the Syrian crisis, Mogherini reiterated the significance of this summer’s deal with Iran, describing it as an unprecedented success for the United Nations. “International diplomacy may at times appear too slow and mechanical to achieve results. At times one may get the impression that it has little or nothing to do with actual events on the ground […], but only diplomacy and only a true multilateral framework could guarantee such a result, with many winners and no losers”, added Mogherini while calling on EU Member States to display responsiveness and flexibility in the choice of formats for European diplomacy. This is not enough however. “To navigate the stormy waters of the international system we need a compass: a strategic horizon that gives Europe a sense of direction for the years ahead”, continued Mogherini, pointing to the consultation process for a European Global Strategy launched by her office with the objective of promoting a debate not only with institutional actors in Brussels or European capitals, but also the broader foreign policy community in general. “A community made up of think tanks, academia, civil society and politics, of students and citizens,” noted Mogherini, while highlighting the fundamental role played by an institute like IAI in training a new class of policy-makers for the future.